Michael Brown lives and works in central New Jersey. During the summer months he runs Pitspone Farm, which supplies fresh, organic produce to area restaurants. One of the best pieces of advice I ever received as a market gardener was to find a good niche and exploit it every way possible. My particular niche has been growing out-of-the-ordinary vegetables that most large farms don’t bother with. Within this niche, one of my most successful crops has been heirloom tomatoes. The term “heirloom” generally refers to plant varieties passed down by families from year to year, thereby preserving particular characteristics. Heirloom tomatoes are the antithesis of today’s supermarket tomatoes. Each variety is truly unique, exhibiting a special taste, color, texture or shape. 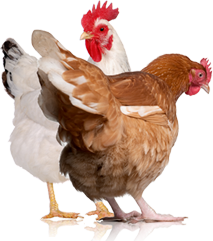 They are ideally suited to being grown by the small farmer living close to their end market. Many varieties do not travel well because of their thin skins and have a shorter shelf life than conventional tomatoes. Lately, the term “heirloom” has taken on other meanings. In addition to the old-time varieties, a growing number of new varieties are being developed by plant breeders. Tony Vinci, head of tomato research at Johnny’s Selected Seeds, has his own favorite definition of the term. has their favorite tomatoes, so this list may not include some of your own personal choices. I am basing this on my own experiences and those of my customers. The variety is grown commercially in Russia and is apparently quite popular there. The fruit is a very pleasant, reddish-brown color; the size and shape is similar to a rounded egg. Good yields and fairly early. Indeterminate. tasting tomatoes. A potato-leaf variety with large fruits ripening late in the season. There are many strains of Brandywine being sold, as well as different colors. Compare the information on the different types to make sure you know what you’re getting. Indeterminate. Considered by many to be one of the better-tasting tomatoes. The medium-sized fruit is purple-brown in color. The fruit frequently shows green shoulders. Indeterminate. The outstanding visual appeal of this tomato is a big selling point. The dark and light green striped fruit develops a yellow blush when it is ripe. The fairly early fruit is about the same size as the Black Prince. Indeterminate. Very early potato-leaf variety with good tolerance to cold, good flavor and high yields. The fruit is small—only 1 to 2 ounces. I found that because the fruit is a “regular red” color, the small fruits are less in demand later in the season when they are competing with equally tasty, larger-fruited varieties. Indeterminate. Whether they have been developed only recently or been around for generations, all heirloom tomatoes share one characteristic: They are open pollinated. The seeds of open-pollinated plants, as opposed to hybrids, can be saved—the resulting plants will share the same characteristics as the parent plants. The vast majority of tomato varieties available to consumers and the bulk of commercially grown tomatoes are hybrids. Despite the advantages, heirloom tomatoes may not be suitable for every grower. Before jumping headlong into growing heirlooms, it’s important to understand the pros and cons of this specialty crop. The main benefit of heirloom tomatoes is taste. Heirlooms are eating tomatoes, pure and simple. Each one is different. Some are meatier, some have fewer seeds and some taste a bit salty or spicy. Bruce Lefebvre, chef at the well known The Frog and the Peach Restaurant in New Brunswick, N.J., can’t get enough heirlooms. “The variety of colors, textures and flavors is amazing,” he says. “I just wish the season was longer.” His feeling is representative of most chefs who understand that taste sells. Over the years, breeders of many of the hybrid tomatoes have put taste on the back burner as they emphasized uniformity, durability and extended shelf life. The result is that many hybrid tomatoes are bland and simply don’t deliver the full palette of taste that heirloom varieties do. Another benefit of heirloom tomatoes is their color. These tomatoes seem to cover the whole spectrum of the rainbow, including stripes and blushes. This allows the customer to differentiate heirlooms from conventional, red tomatoes and gives value-added “eye appeal.” There are colored hybrid tomatoes, but not nearly as many as the heirlooms. In addition to superior taste and color, add a vast range of sizes and shapes, and you have a truly unique product to offer customers. Of course, it’s not all rosy when you grow heirlooms. There are some disadvantages to keep in mind before making your decision to convert. In many cases, heirloom tomato plants are less vigorous than their hybrid competitors—they usually produce less fruit and are more susceptible to diseases such as blossom-end rot, septoria leaf blight and early blight. If you want to experience the vast range of heirloom tomatoes, your best bet is to start your own seeds. Several of the best sources of seed have online catalogs in addition to their print versions. Many of the sites also have valuable descriptions and other planting information. They don’t have a very extensive selection of heirlooms, but they do have many of the most popular varieties, as well as a large selection of other types of seeds. Extensive listing of heirloom tomatoes as well as many other unusual and heirloom varieties of vegetables, herbs and flowers. Extensive listing of heirloom tomatoes, peppers and eggplant. The forums on this site are very helpful and some, particularly the tomato grower’s forum, are quite active. You can search their archives, post questions and learn from the vast community of gardeners and market gardeners. This site has a wealth of information for new and experienced growers, including price information, lots of articles and forums. You can become a member for free, post questions and search archives. Their thin skins do not hold up very well to travel or storage, and they are not always uniformly shaped or sized. Potential customers may shun unusual varieties that don’t fit their idea of what a tomato should look like. Though there are a few universally favorite heirloom varieties, it’s a very subjective matter. Read through catalogs, search the Internet and, most importantly, speak with your potential customers. Chefs may not always be able to give you the names of specific varieties they like, but they will be able to describe what characteristics they desire in a tomato. Some chefs may like to emphasize color; others may have size requirements (like no cherry tomatoes) or want just large, beefsteak-type tomatoes. The overwhelming majority of heirloom tomato varieties are indeterminate. Indeterminate plants keep growing throughout the season, providing continuous fruit production until frost kills the plant. Determinate types will stop vine growth after the plant flowers. They are smaller, bushier plants that concentrate their fruit production, typically in one large, single crop. With heirlooms, some of the very early bearing tomato varieties are determinate. Therefore, if you want to get a large number of tomatoes out to the market very early and then switch to a different crop later in the season, a determinate-type tomato may be a good choice. Some indication of popular varieties can be gleaned from seed companies. According to Baker Creek Heirloom Seeds, a large supplier of heirloom tomatoes, their best-selling tomatoes include such popular varieties as Pink Brandywine, Cherokee Purple, Paul Robeson and Green Zebra. Their No. 1 selling tomato in 2006 was Cherokee Purple. When considering varieties to plant, don’t forget to consider small-fruited tomatoes. These include the cherry, currant and pear tomatoes. They come in a vast array of colors, shapes and sizes. They can be sold by the pint or by weight and they offer a beautiful mix of color. Another factor in choosing a variety is the maturation time. A tomato that matures in 75 days compared to 90 days will give you tomatoes two weeks earlier. Planting a vast number of late-maturing varieties will give you a large crop when everyone else has tomatoes, resulting in more competition. Selling heirloom tomatoes can be a double-edged sword. Some consumers have a hard time buying tomatoes outside their regular experience. For them, a tomato is round and red. So, if it’s yellow, orange or green and it doesn’t look like a conventional tomato, it isn’t going home with them. You may be able to sell these customers a few heirlooms, but probably not at a price much above that of standard, red tomatoes. To maximize your profits, you need to identify a market that will not only embrace heirlooms, but actually be excited to find a regular supply. You can try an upscale farmers’ market or perhaps start a CSA. If this article on heirloom tomatoes has simply piques your interest in old-time fruits and veggies, check out Popular Farming: Heirloom Farm, from the editors of Hobby Farms magazine. 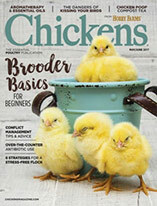 In this fact-filled issue, you can discover companion planting, learn how to start and save seeds, cook with heirlooms and more. Want to go organic? Pick up a copy of Popular Farming: Organic Farm to learn all about how to grow organic. Personally, I have found a receptive market with “white linen” restaurants—establishments where the chef has a large degree of decision-making ability and generally appreciates high-quality, local produce. Since fine restaurants are able to charge a premium price for their dishes, they will usually pay the grower a fair price. Begin by checking all the restaurants within a reasonable driving distance from your farm. Your best bets will be fine dining restaurants in or near cities that have an affluent population. Other worthwhile locations to investigate are college towns and towns and cities with corporate headquarters or concentrations of entertainment, such as theater. Chain restaurants will generally not buy local. They are obligated to purchase from a wholesaler and their menus are not determined by their chefs. Likewise, most hotel restaurants will not be able to buy local. Pricing produce is always a big challenge. Because price is dependent on so many variables, it is difficult to set hard-and-fast rules. Every year I learn more about my customers, the competition and the value of my produce. All these factors, and more, go into setting a price. One thing is certain: Heirloom tomatoes will command a higher price than conventional tomatoes. In fact, in some instances, you may not even be able to unload your conventional tomatoes, while still getting a good price for the heirlooms. Avoid the temptation to lower your prices to encourage sales. In most cases this will not trigger additional sales. (After all, how many tomatoes can a restaurant use?) The primary result will simply be that you bring home less money for your hard work. To help set your price, keep your eyes and ears open. See what tomatoes are going for in your neighborhood market and specialty grocery stores, visit nearby farmers’ markets, go to online forums, and talk to chefs. Take into consideration the quality of your produce and the service you provide. Tomatoes may be going for $2.99/lb. in your local upscale specialty supermarket, but they are almost certainly not local and they were probably picked early, before they were able to develop their full flavor. If your quality far surpasses what is available at local stores, you can comfortably charge more. Also, if you are able to offer something unique, you can charge more. Show a chef an awesome rainbow-mix of cherry tomatoes that nobody else has and you can probably nudge up your price. Chefs like having unique, locally grown produce to offer their customers. It also helps them to differentiate their restaurant and attract patrons—that is, if their patrons value locally grown, unique food. Start your seeds around the middle of March, give or take a few weeks depending on your planting zone. Good results can be expected from one of the soil-less seed starting mixtures available in most garden centers. I find it best to moisten the mixture beforehand. To do this, put some of the mixture in a separate container and add water. Mix and wait for half an hour or so while the mixture absorbs the water. Fill a shallow planting container to a depth of 11/2 to 2 inches and distribute the seeds evenly on the surface. Cover the seeds with about 1/4-inch of the mixture and gently firm the surface. Depending on the variety and the temperature, seeds will germinate within 7 to 14 days. As soon as they have sprouted, move them to a place where they can get good light—either on a sunny windowsill or under a grow light. If starting under a grow light, make sure the light is no farther than 6 inches from the seedlings or they will become tall and leggy. If you place your seed starts on a windowsill, remember to turn the seeds daily to keep them from bending toward the light. Once the seedlings sprout a second set of leaves, it’s time to transplant them from the starting tray to individual pots. Gently loosen the soil in the seeding tray and separate individual plants. Fill the pot loosely with moistened starter mix and use a pencil to make a hole in the center. Insert the seedling into the hole up to the second set of leaves; this may require the slight twisting or bunching up of the plant’s root as they can get very long. Gently firm the soil around the seedling and moisten once you have finished transplanting. By early May, you can start hardening-off your transplants. Plants should be introduced to progressively longer periods of sun and wind over 7 to 10 days so that they will thrive once they are transplanted outside. When planting your seedlings in the ground, make a shallow trench and lay the seedling on its side. Bury the entire plant up to the first set of leaves. This buried stem will produce roots, which will greatly improve your plant’s ability to obtain water and nutrients. While you can sell a quality product any time of year, it’s certainly easier to find buyers for your produce when no one else has what you’re offering. If you have early tomatoes, customers will beat a path to your door and you will be able to charge top dollar. Consider investing in a small greenhouse. In many instances, a greenhouse or hoop house will pay for itself in just one year. By offering heirloom tomatoes early in the season, you will instantly gain access to chefs who would like to be your customers. Nurture this relationship. As you gain credibility as a grower, you will be able to add extra crops and feel more comfortable reaching out to additional customers. 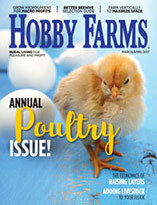 This article first appeared in the July/August 2007 issue of Hobby Farms magazine. Pick up a copy at your local bookstore or tack and feed store or buy one online.